As I’m hunkered down writing these very words to you, I’m surrounded by Christmas pleasantries. ’Tis the season. “The Little Drummer Boy” is wafting somewhere in the white space of my day. Ironically, my life plays a similar melody. Like the little drummer boy, I often feel very poor. Depleted. Empty. I have nothing fit to bring the newborn King, nothing but my daily drum—the mundane beat of life: laundry to wash, meals to make, lesson plans to prepare, a husband to honor and children to teach. These are my simple daily beats—the calling that he’s given me. But, I’m determined to play my best for Him, serving quietly; homeschooling daily; finding miracles even in the mundane; laying my obedience at His cradle. These are my finest gifts. Pa-rum-pum-pum-pum. I've got a stack of books sitting next to me--all in various states of done-ness. 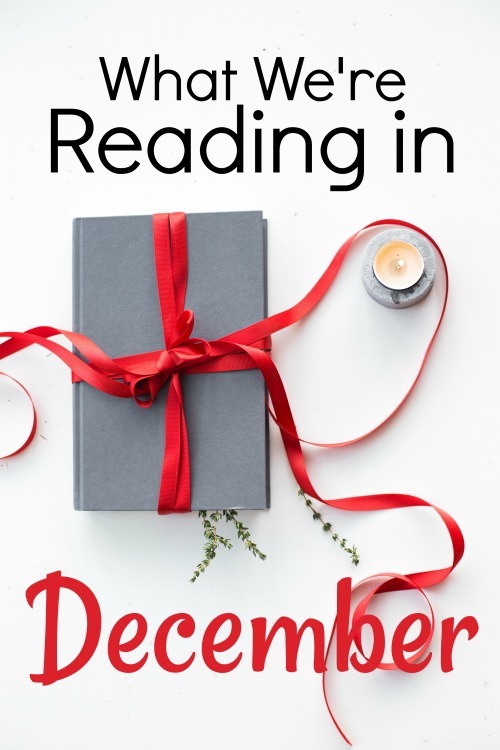 And I look forward to poring over pages in the coming days of December. Here's what we're all reading this month. Jotham's Journey- This is the first in a series of Advent books by Arnold Ytreeide. He also has a few titles that correspond with the Easter season. 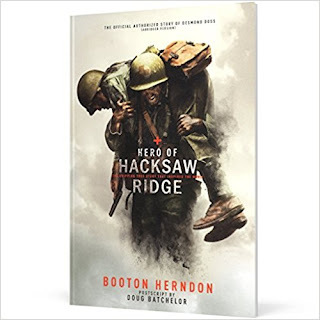 Each fictional chapter ends with a short non-fiction section that ties the story to our modern-day search for Jesus, the Savior King. 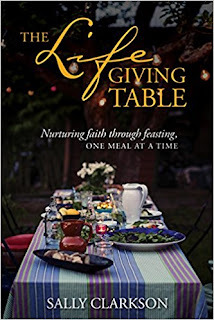 The Life-Giving Table- I read Sally's book, The Life-Giving Home, last year and can say without a doubt that the title did not disappoint. The book was life-giving. Needless to say, I couldn't wait to get my hands on her newest offering. 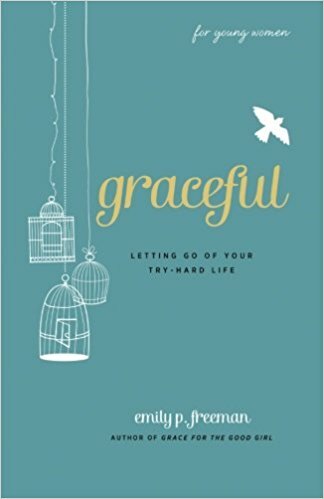 It takes a slightly more applicable tone with devotional thoughts and recipes designed to nurture faith through feasting. I'm about 1/3 of the way through it. My favorite part has been the unfolding of feasts and shared meals in Scripture and learning how important they are in discipleship. 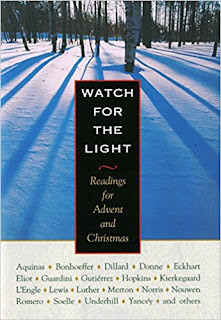 Watch for the Light- I've not started this one yet, but will be reading it through the Advent season to prepare my heart for the coming of a Baby King. 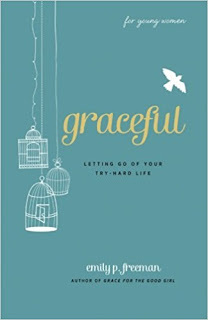 Graceful- (Mom-assigned book) I've read a few things by Emily P. Freeman and listen to her podcast quite faithfully. Her writing is like a drink of cool water in a dry desert. So, I was eager to share this young woman's resource with my daughter on her MUST READ-for-high-school book list. A Christian upbringing in a "good" home can easily turn faith into a spiritual checklist instead of an act of worship. I want my daughter to grab onto grace. I want her to know that her life in Christ is not about striving, but about abiding. 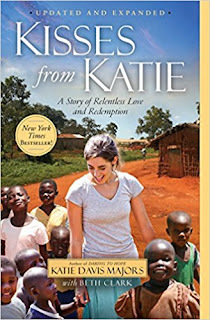 Kisses from Katie- (Just-for-fun book) This book is also on my daughter's MUST READ-for-high-school book list, but she's reading it for "fun" instead. 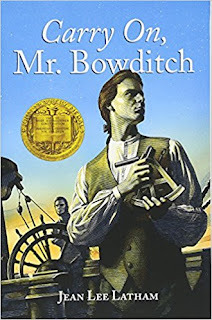 Carry On, Mr. Bowditch- (Mom-assigned book) My son is still picking his way through this one. It's a weightier book, to be sure. But he's definitely enjoying the tenacity and courage of Nathan Bowditch in his adventure to live a purposeful and curious life. 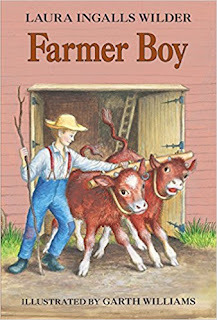 Farmer Boy- (Mom-assigned book) My son is almost done with this American classic. He's enjoyed the whimsy and boy-next-door antics of Almanzo Wilder. But who doesn't love Little House and Laura's portrayal of pioneer living? 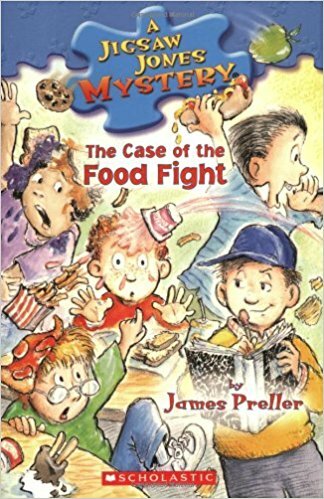 The Case of the Food Fight- (Just-for-fun book) We have a small collection of Jigsaw Jones Mystery books in our attic library. They seem to always be my son's GO TO for fun reading when he doesn't already have a title in mind. Admittedly, these books are all silly twaddle. But, we all need a little bit of twaddle every now and then. In Grandma's Attic- (Mom-assigned book) Some would set this in the "girl" pile of books. But I think the themes of friendship, love, and shared memories are timeless and genderless. This book has always ranked high on my list of living literature treasures. It is the first in a series of four books that details the 19th century childhood of the narrator's grandmother. I Survived the Sinking of the Titanic, 1912- (Just-for-fun book) My son has been fascinated with sunken ships lately. He has researched the locations of the most-well known shipwrecks and has made ocean maps of each one. 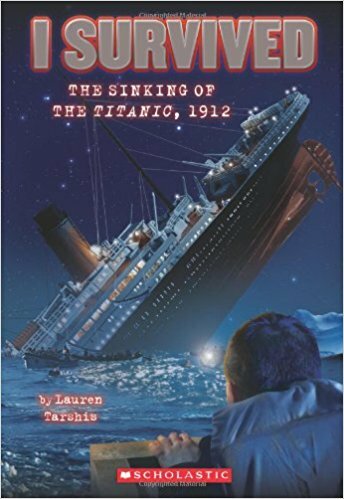 He has read and re-read this book several times already this month and anxiously awaits a few other Titanic-themed fiction books that I've requested for him through our public library. Reading for Fun Enrichment Library- (Mom-assigned book) My youngest son is still making his way through an old boxed set of A Beka phonics readers. The particular set we own is no longer in print, but has been reworked with similar storylines and modern illustrations. I love these books because they are among the few emergent readers that are 100% phonics-based. 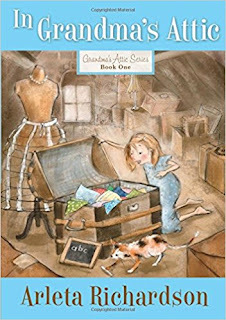 The Boxcar Children- (Just-for-fun book) One-on-one time with my 5-year-old can easily get lost in the fray of a busy homeschool day. His schooling doesn't require nearly the concentrated effort as that of his older siblings'. So this month, he and I searched our home library for a book that we could share together, just the two of us. 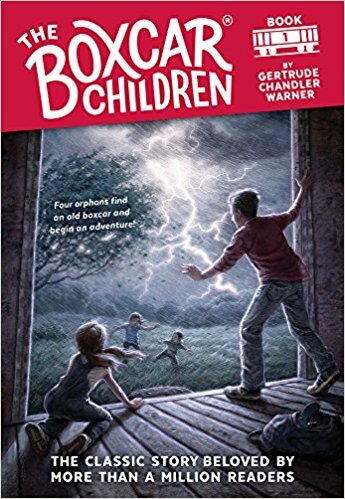 We've been nestled on my bed for a few quiet moments nearly every weekday to read a chapter of this first Boxcar Children. Although his attention span is short, he can fully grasp the simple plot and dialogue-driven story line. That's what we'll be reading during this Advent season. How about you? Me - In addition to trying to keep up with everything the kids are reading, I also am finished up "Between Heaven and the Real World" by Steven Curtin Chapman and am reading "The Greatest Gift" by Voscamp. 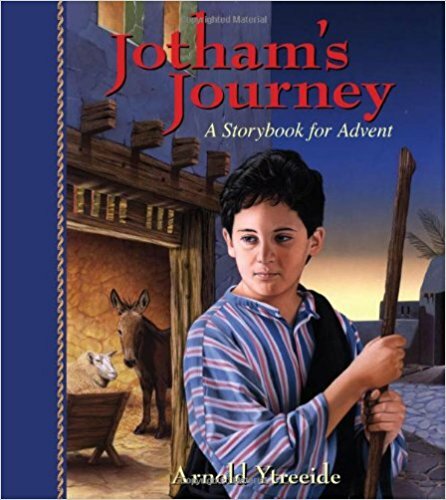 Read Aloud - We are finishing "The Best Christmas Pagent Ever" and then will dive into " Jotham's Journey". 9th grade daughter - She is reading "Two From Galilee" for both her spiritual development class and for her literature. 5th grade son - He just finished Medallion (put out by BJU Press, I think) today. Fantastic book! He loved it and I loved the Biblical parallels we found in it! Very rich! Preschool son - He and I are working through our family's collection of Christmas books as well as checking out new Christmas books from the library every week. He loved "The Grinch that Stole Christmas" last week! I've not seen Medallion. I'll have to look that one up. My kids absolutely loved The Best Christmas Pageant Ever. They'd rank it in their top 5 favorite read alouds of all time. It helped that we saw the play after reading it. I am interested in your Mom book for this month. I am reading One thousand Gifts and my devotional is A Renewed Heart. Hubby is reading Raising a Son. Our two month old will continue with his black and white picture book, lol. We are reading nursery rhymes to him each day. One Thousand Gifts...great one! I have a secret spot in my heart for nursery rhymes and preschool poems. I have an embarrassingly large collection of books filled with them. When I'm in a bookstore, they draw me like a magnet and I MUST BUY THEM ALL! I thought you might like to know there are actually 10 books in the In Grandma’s Attic series. I’ve owned them all since I was a girl. I think maybe the others are less well known. Also the author has another series about the orphan train as well as other books. Wow! Thank you. I'm the children's librarian at my church's library and have only ever seen the first four advertised. I'll have to look for the rest to complete our set. I'm also about to start The Life Giving Table! I've read The Life Giving Home a couple of years in a row, a month at a time, a month in advance of the current month. I'm also about to start Because of Bethlehem by Max Lucado as well as being in the middle of one of my daughters' history selections, Johnny Tremain, before she reads it. We're listening to The Treasure Seekers on audible during lunch time and I'm reading Bartholemew's Passage aloud (we read Jotham's Journey last year). Because of Bethlehem? I've not heard of that one. I'll have to look for it. 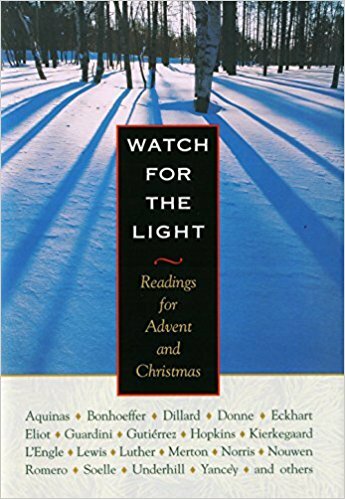 Good Advent books are hard to find. Reading The Life-Giving Home month by month is a great idea. I don't know why I hadn't thought of that. Thanks! You may have addressed this in a previous post, but how do you assign your kids' reading? Do you have a set time during the day when they read from the assigned book? And another time when they can read whatever? Thanks! Here's a rather older post that give a bit of the info. Since the time I wrote that, we have started reading our "just for fun" books right after our morning time. We all read our individual books in the living room for 15 minutes. Then, the kids read their "fun" book sometime in the evening to themselves for another 30 minutes. This earns them some screen time. We don't have a TV, but they usually watch one show together on netflix before bed.